Great look and comfort trainers. Size: 8 UK, 42 EU. 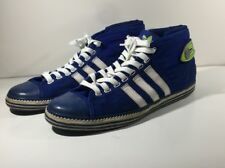 Adidas Sneakers Size 10 - blue/green combo. Condition is Pre-owned. Classic three white stripes. Adidas logo on back. Shipped with USPS Priority Mail. Ships in 1-2 business days. In good pre-owned condition with lots of life left in them. There is a very small nick on the toe area of the right shoe. The interiors of the shoes are clean. The soles have minor wear on tread. 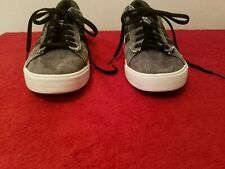 Adidas Gray Sneakers size 10 117680793 in excellent condition. 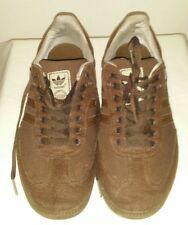 Adidas Gray Sneakers sz.10 117680793. Condition is Pre-owned. Shipped with USPS Priority Mail. Sneakers are in good condition. Gently worn.